Named Parsons "Designer of the Year" in 2004, Ashleigh Verrier's first collection was purchased by Saks, placing it alongside Balenciaga, Marc Jacobs, and Chloe. 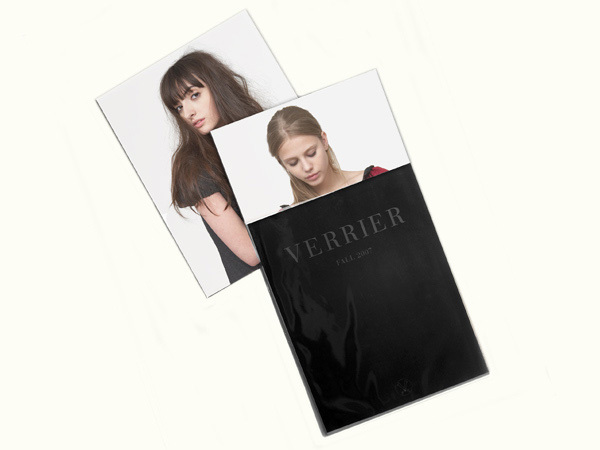 Giampietro + Smith's Verrier branding development has followed her from the beginning, inc. lookbooks, announcements, posters and website, www.verrier-fashion.com. 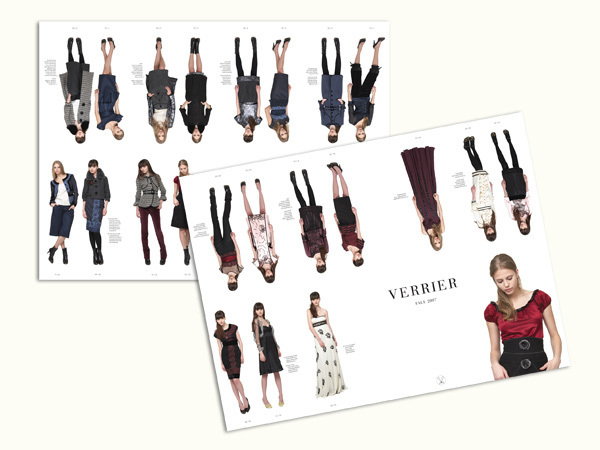 I worked with Giampietro + Smith to produce Verrier's Fall 2007 lookbook. The format is uniquely folded piece that is a hybrid booklet/poster encased with heavy varnished card inside a clear mylar envelope.